No Such Thing as a Bad Dog (Just Bad Owners) | Phoenix Personal Injury Law Blog - Breyer Law Offices, P.C. Dogs really can be man’s best friend. When treated properly, they bring a lot to a person’s life, offering love and affection and of course, that cute wagging tail every single time an owner comes home. And in Maricopa County, virtually anyone can own a dog. With the abundance of pet stores in the area selling dogs (including Puppies ‘N Love, a store that specializes in puppies), all a person has to do is be willing to pay the asking price. Those who want to save a dog can adopt by visiting Maricopa County’s Animal Care and Control (MCACC). Over 35,000 pets are received at the shelter each year. The fee runs from zero dollars to $150, which is not a steep price to pay for a new friend. Before adopting, a person will have to spend a little bit of time with the dog in MCACC’s Get Acquainted areas. This allows staff to see how the person acts around the dog and how the dog responds to its potential owner. After that, just a short adoption application needs to be filled out. But while it’s good that MCACC wants to ensure a good fit is made before a dog is adopted, this short amount of time and few questions aren’t enough to determine whether there is actually a good fit. Anyone can act like a good owner for the half hour or so they’ll need to spend with a dog, and little verification is done once an application has been filled out. Because of this, virtually anyone in Maricopa County can own a dog. But that doesn’t mean that everyone should. A dog with a collar embedded in its neck. Being hyper all or most of the time. Exhibiting fear on stairs, possibly from being kicked down them. Abnormal attachment, typically shown as constantly seeking attention. Rolling in feces, usually its own (particularly if the area is littered with it). Showing extreme fear or aggressive behavior around strange people or dogs. Unusual behavior including hoarding, regularly digging deep holes, sucking on pillows, and continuously walking in circles. 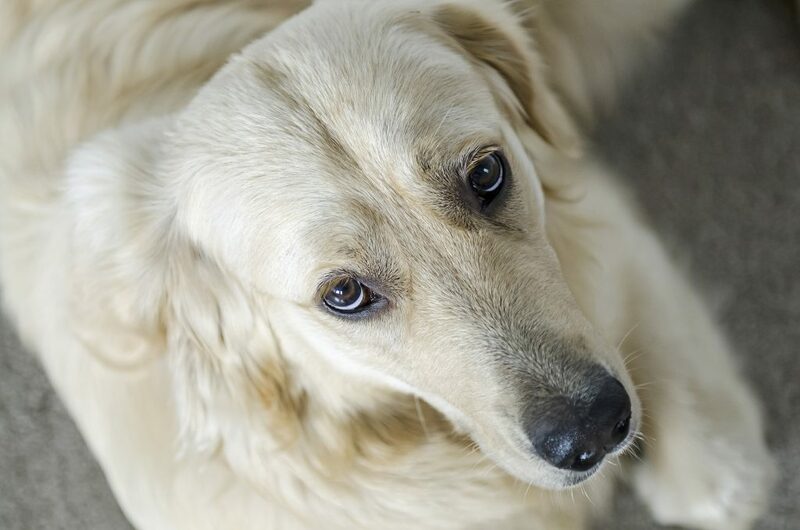 All of these behavioral traits can indicate that a dog was abused in the past, either physically or emotionally. Continuing the vicious cycle, these are also traits that will make a dog susceptible to more abuse in the future. For instance, a dog that constantly barks may be abused again if an irresponsible dog owner becomes frustrated and kicks his dog to stop the barking. Any time you notice signs of abuse, such as a dog always chained up outside, report it to MCACC right away. All dogs have the right to a good quality of life, and it’s the responsibility of dog owners to provide it for them. If they cannot, they should not own a dog. Is Abuse Leading to More Attacks in Arizona? Abuse and neglect may also be why dog bites have increased so significantly in Arizona over the last several years. When a dog has been abused, it will show more aggression towards not only other animals, but also people. A study released by the Arizona Department of Health Services showed that the amount of dog bites increased by a staggering 139% from 2008 to 2012. Most attacks involved a dog biting someone who lived in the same home, particularly children. This emphasizes the importance of treating a dog with respect at all times. Even a familiar dog may bite without warning. While that study ended in 2012, Phoenix Children’s Hospital reported that the increase in dog bites continued into 2013. But officials in Maricopa County said there has not been a significant increase in that area since 2008! Interestingly, this highlights how different areas of Arizona see different rates of dog bite cases. Northern parts of the state, such as New River and Cave Creek, saw more than 570,000 ER visits due to dog bites in 2014, while areas to the south like Sun City, Sun City West, and Sun Lakes, had only 111,000, according to the Arizona Department of Health Services. North or south, dog owners need to be aware of these startling statistics, and try to stop their dogs from ever attacking a person. This can be done by not only training the dog properly and never being abusive, but also by knowing which dog breeds are able to do more damage to people, especially children. It’s no secret that pit bull terriers and Rottweilers have the worst reputation in the United States. DogsBite.org reviewed data from 2005 to 2016, and in that time, dogs killed 392 people. Pit bulls and Rottweilers accounted for 76% of those deaths. While Arizona has banned breed discrimination laws, it’s important for anyone who owns a powerful, potentially dangerous dog to take extra precautions and remain extremely vigilant when the dog is around other people or animals. Maybe we don’t have to worry as much as some states. According to Time Magazine, the top three dog breeds that Arizonans prefer are Labrador Retrievers, German Shepherds, and Golden Retrievers. Regardless of the breed, precautions are important for all dog owners. Why? In Arizona, owners are both morally and legally responsible for ensuring their dogs never attack another person or animal. If the dog does, even if it doesn’t have a history of aggression, the owner is responsible for paying compensation to the victim for things such as medical treatment. There are good reasons for dog owners to train their dogs properly and shower them with affection—and legal liability is just one of them. We at The Husband and Wife Law Team know that happy dogs are one of the joys of life! If you have any questions about a dog bite incident, you can talk to our legal team at (602) 267-1280. There’s no charge!